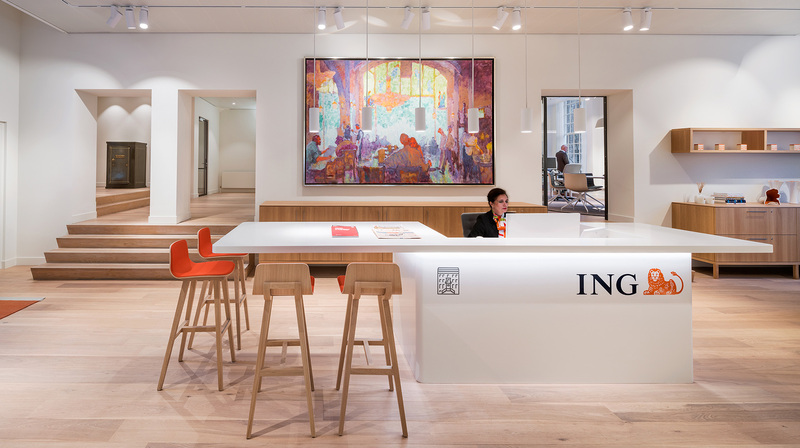 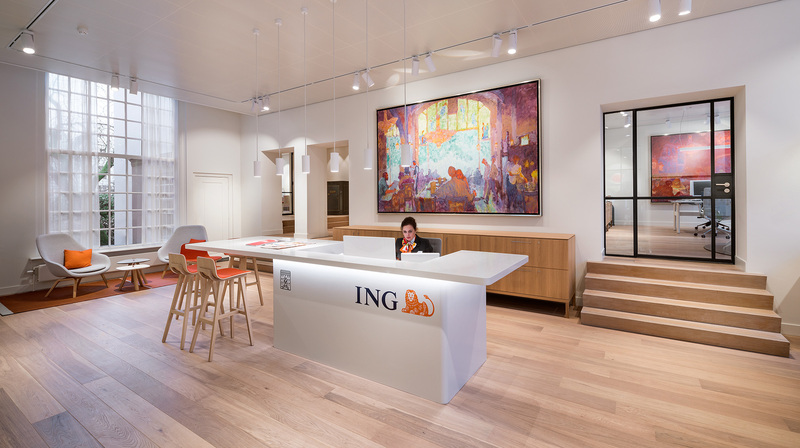 ING’s Wealth Management office is situated in two listed monuments in the Amsterdam canal district. 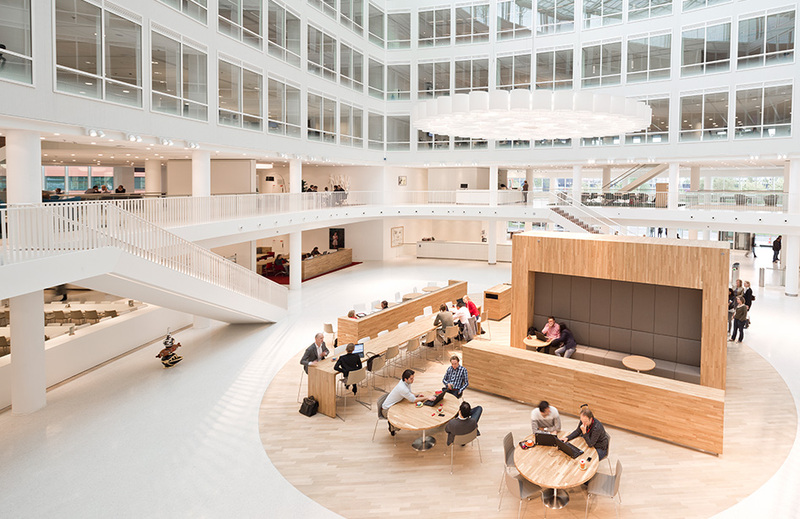 Over the years, the interiors of these buildings have radically changed and lack most of the original elements. 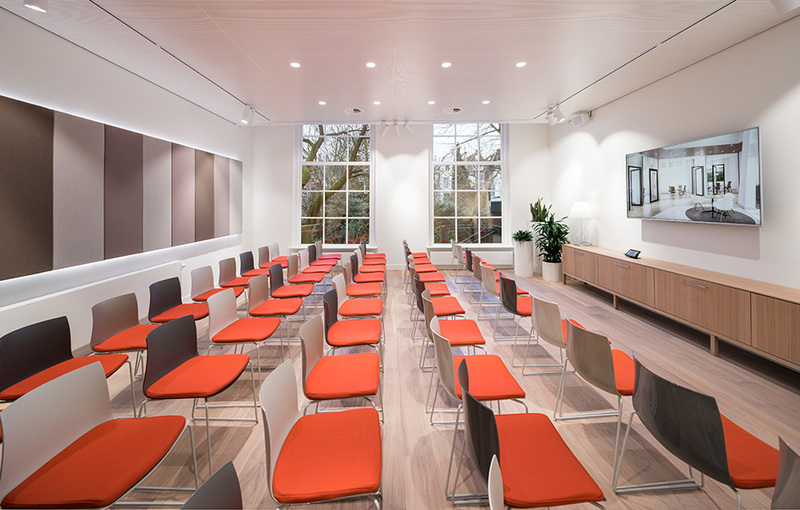 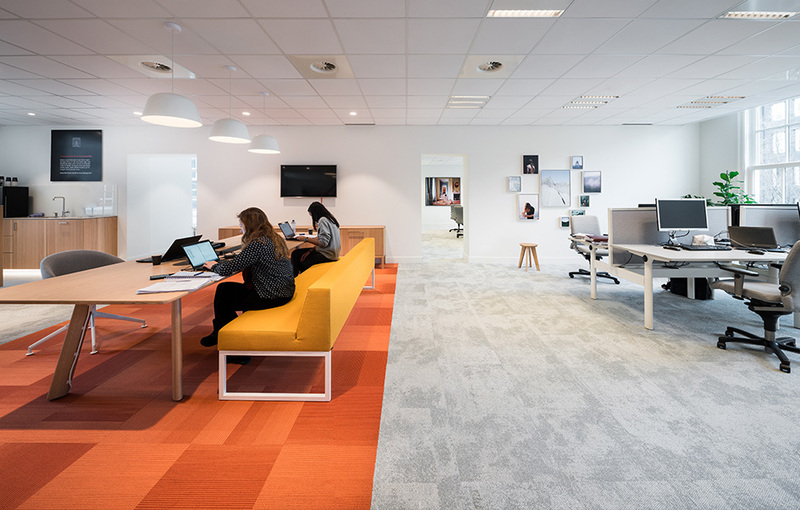 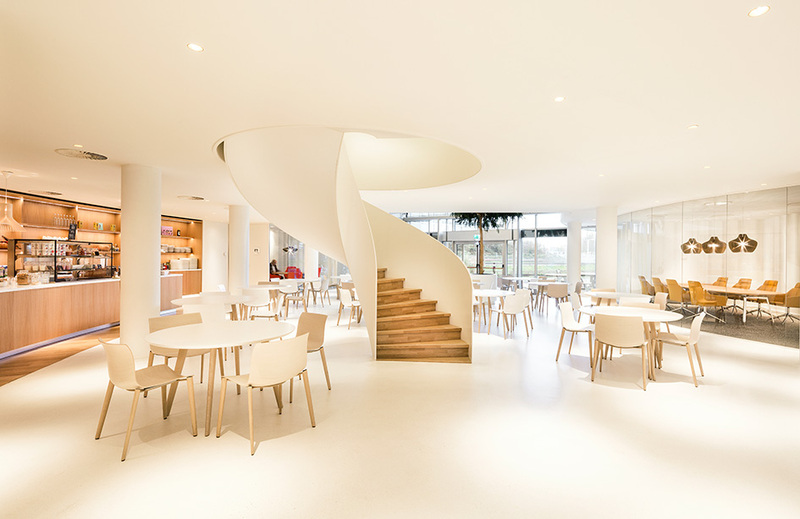 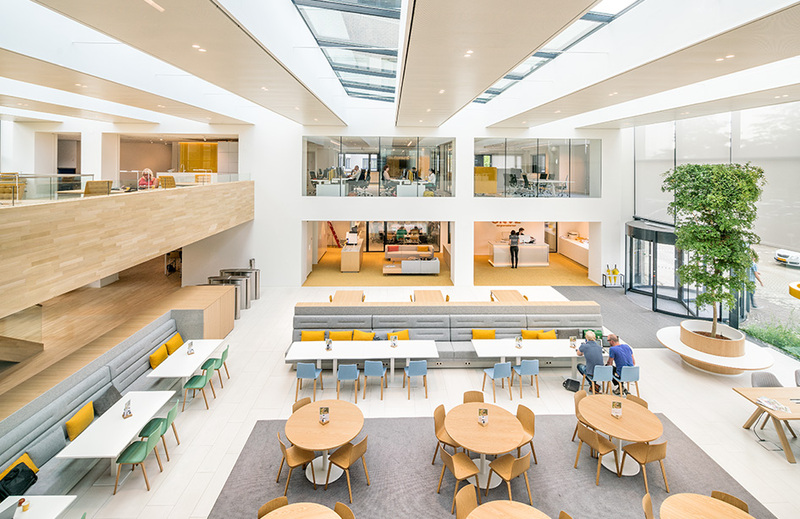 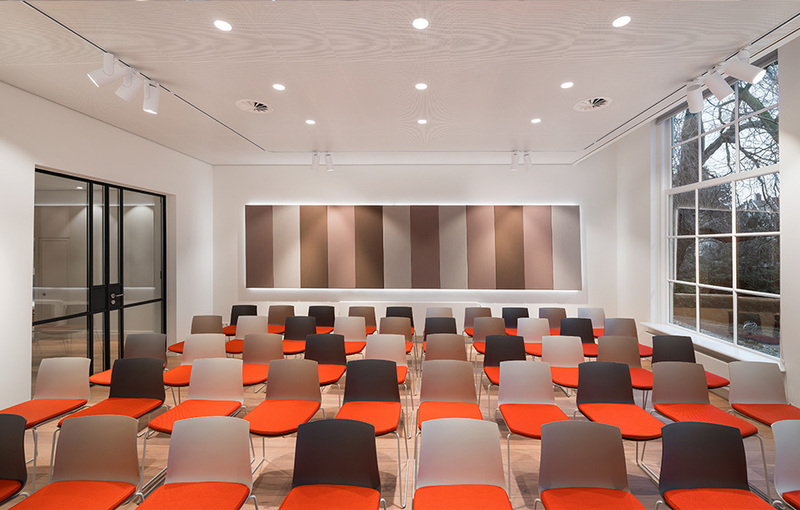 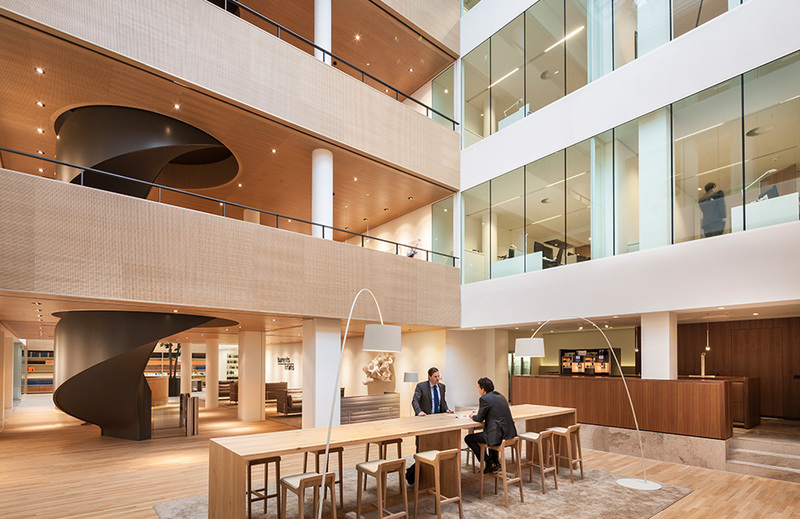 The renovation and interior designed by HofmanDujardin builds upon the remaining qualities while creating a balanced and rich working environment. 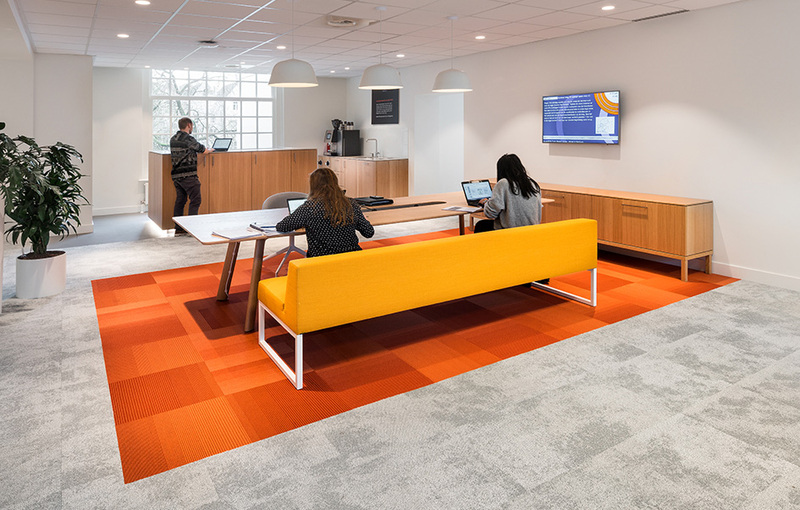 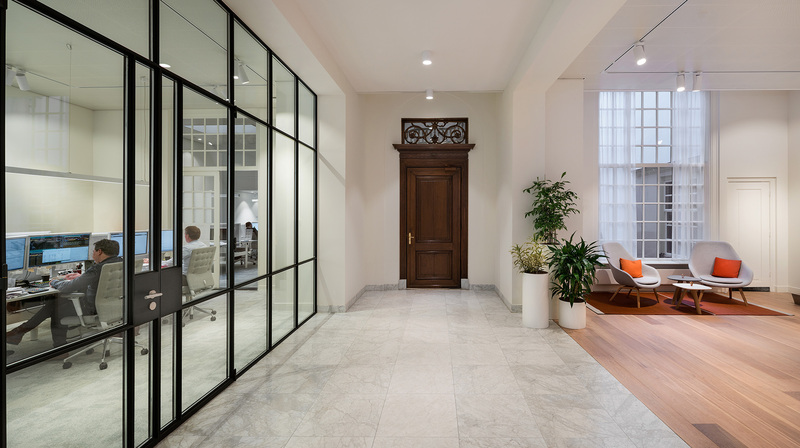 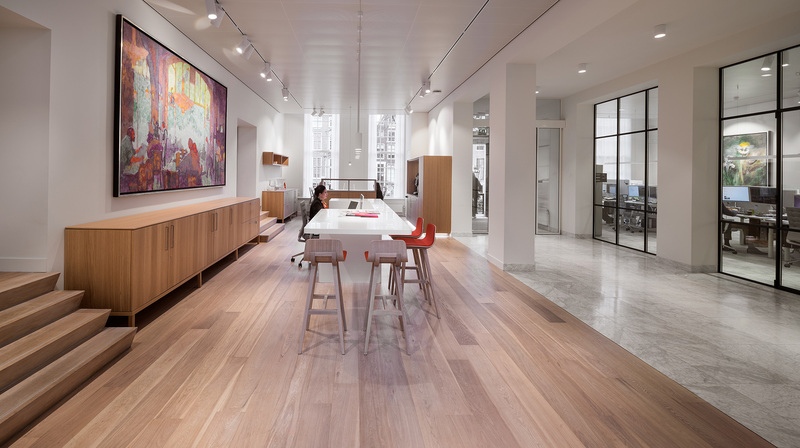 The office floors are light and open to create a comfortable working environment. 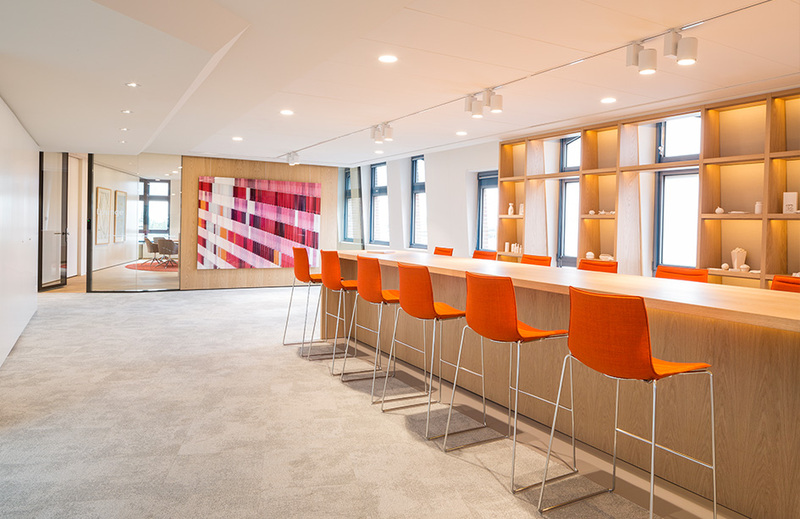 Tones of orange and timber furniture pieces add to the neutral basis with grey melange carpet. 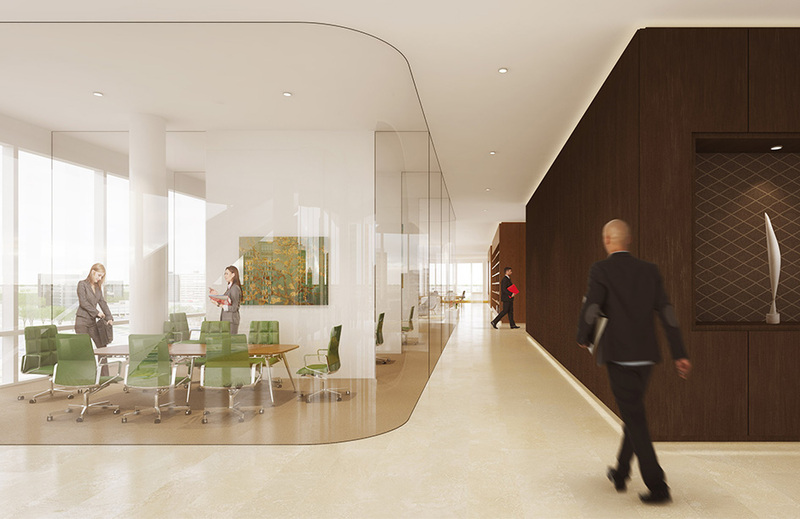 Most walls are painted white and form a perfect background to the carefully selected art pieces. 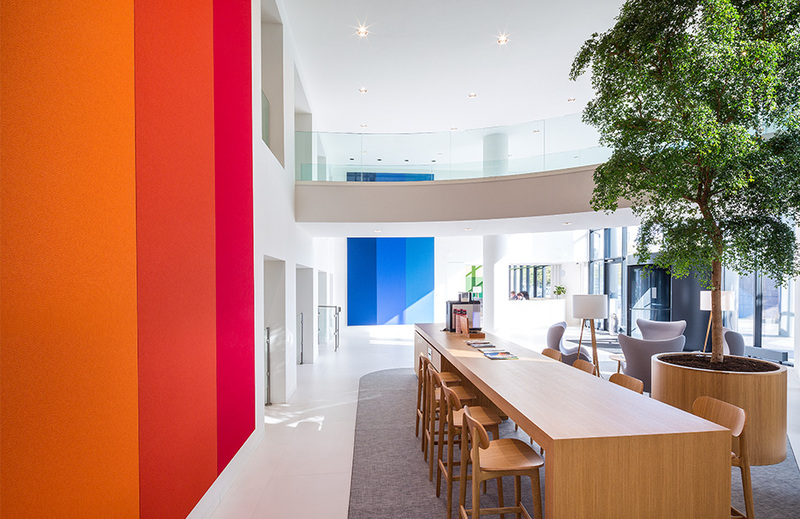 Together with the green plants, they bring colour and make the office come to life.